What Makes You So Thirsty at Night? You’re just getting ready to sleep, and you get this inexplicable urge to drink water. Or you’ve just woken up from a dream in the middle of the night to discover that your mouth is dry and you’re extremely thirsty. Has this ever happened to you? For most people, drinking a calming chamomile tea or a glass of warm milk is the last thing they do before getting to bed. If you have kids, you probably know about their need for a glass of water during bedtime all too well. Is bedtime thirst a result of routine or habit – or can there be any underlying causes associated with it? A study published in the journal, Nature, discovered the latter. Our urge to drink water before sleeping may be closely tied to our biological clocks. Also, being consistently thirsty in the night may be your body telling you that you’re not drinking enough water during the day. Being pregnant or diabetic can also make you thirsty, especially before bedtime. Keep reading to determine why you’re always thirsty during sleep hours, along with some tips to help you quench your thirst and sleep better in the night. Why Am I Thirsty Before Bedtime? 1 Why Am I Thirsty Before Bedtime? 2 What Else Causes Excessive Thirst at Night? 3 How Much Water Should You Drink? 3.1 Is Drinking Water at Night Bad for Your Kidneys? 3.2 Does Drinking Water Help You Fall Asleep? 3.3 Does Drinking Water Improve Digestion? 3.4 When Should You Stop Drinking Water? McGill University researchers have found that your circadian rhythm, or your body’s biological clock, may be the reason for your bedtime thirst. This may be because your biological clock stimulates your thirst neurons and preventatively ensures that you’re hydrated throughout your entire sleep. Your thirst neurons are typically activated when you’re at risk of getting dehydrated. This occurs when your body temperature rises, or your blood plasma volume drops. Generally, you experience thirst when the fluid ratio in your body is less than normal. However, nighttime thirst is different and can take place even when the above symptoms are nonexistent. Through this study conducted with rats, researchers found that the rats would only look for water when their bodies need it. However, these same rats showed increased thirst before they slept – despite not showing any reasons for being thirsty. To further investigate this nightly routine, researchers limited the rats’ access to water only before it was time for them to sleep. By doing this, they discovered that the rats that were deprived of water showed obvious signs of dehydration towards the end of their sleep. This showed that these rats were instinctively drinking more water before sleeping to ensure they were adequately hydrated, even while they were asleep. This makes scientific sense because rats, and most mammals, including humans, continue using fluids while the body carries on its routine functions, such as repairing tissue and digesting food. Researchers wanted to determine whether the parts of the brain responsible for sleep and the ones that controlled thirst, were in communication in any way during this experiment. With cutting-edge research and laser light, they were able to influence the neurons in the brains of the rats. This helped them find that there was some communication between the thirst and sleep centers in the rats’ brains. The OVLT, the thirst center that controls the balance of fluids in the body. The Suprachiasmatic Nucleus (SCN), the sleep center, that controls your circadian rhythms. Researchers activated the SCN region of the rats’ brains to create the feeling that they were getting ready for sleep. This triggered the release of vasopressin, a protein chain (peptide) that turns on thirst neurons. Although the study was conducted among rodents, it does explain why we experience thirst and drink water or milk before going to sleep on a daily basis. All our organs have a biological clock, which helps improve their function. Our biological clock signals us to drink water even when we are not thirsty so that our body can perform its functions optimally throughout the night. However, working late shifts or having jetlag forces you out of your natural circadian rhythm. Having a disrupted sleep/wake cycle can negatively impact your health because your body is not able to give you the necessary biological cues to drink the right about of water – resulting in dehydration. What Else Causes Excessive Thirst at Night? Apart from your biological clock helping you keep hydrated throughout the night, there could be other underlying factors that make you thirsty before bedtime or cause you to wake up parched in the middle of the night. If you are thirsty in the middle of the night, the reason could be dehydration. However, there might be other factors to consider as well. Some people have a habit of drinking alcohol before bedtime as it helps them relax and go to sleep faster. However, drinking alcohol, especially before going to sleep can cause more harm than good. First, alcohol makes you dehydrated. Alcohol has a diuretic effect in the body, which means it makes you want to use the bathroom more often. Most people consider a headache to be an indication of whether they’ve had too much alcohol. However, another sign that you’ve had too much alcohol is if you wake up thirsty in the middle of the night or having to use the bathroom. Furthermore, alcohol can also have a negative impact on your sleep pattern. Drinking alcohol before going to sleep may make you fall asleep faster, but the fact that it remains in your system for hours after consumption means that it will keep waking you up several times in the middle of the night. This, and the fact that alcohol increases your urination in the night worsen your sleep pattern and cause you to wake up groggy and not refreshed in the morning. Try drinking one glass of water for every serving of alcohol to keep your hydration in check. Also, avoid drinking alcohol too close to bedtime as it can prevent you from attaining the right amount of deep, restorative sleep, and leave you feeling lethargic and irritable the next day. During sleep, some less critical functions in our body slow down to reserve energy for more vital functions, such as tissue repair, growth and development, and digestion. Saliva production is one of those functions the body doesn’t require while you sleep. Normally, when you sleep with our mouths closed, your body has little need to produce saliva. However, some people tend to breathe through their mouth during sleep. For example, if you have a common cold, your blocked nose will force you to breathe only through your mouth. Since your saliva production is slow during this time, you may find that your mouth feels exceptionally dry if you wake up from your sleep. If you find yourself breathing through your mouth during your sleep, you should see a doctor to determine the cause. If you have a cold, schedule an appointment with your doctor to receive the right medication that will help relieve congestion and blocked nose, and help you breathe and sleep better at night. It’s also critical that you are hydrated throughout the day. Along with the common cold, conditions, such as the flu, allergies, and anything else that causes a fever, will result in dehydration. For some women, their skin glows more than ever before, when they’re pregnant. It is possible that this glow is a result of drinking a lot of water. Drinking water before bed or having excessive thirst is common during pregnancy and in most cases; this can be attributed to the changes the body is going through during this time. Note that women who are especially thirsty during pregnancy are not just thirsty. Pregnant women typically experience dry mouth in the night and frequently feel the urge to urinate. Swelling of the feet, ankles, and hands are also common symptoms accompanied by excessive thirst. 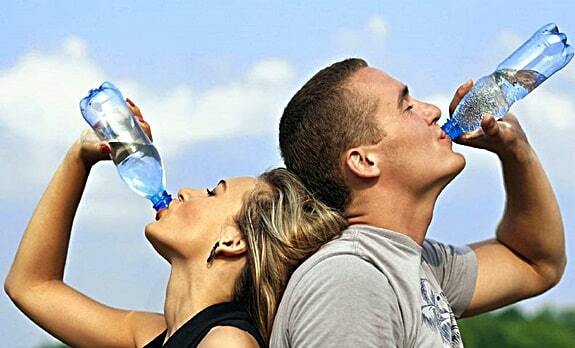 Your excessive thirst could be caused by increased levels of estrogen in your body. Luckily, this is a good thing. Your body needs to stock up on liquids to produce amniotic fluid constantly. Furthermore, during pregnancy, your kidneys are working harder to remove the waste produced by the baby. This action requires more water. According to research published in the Cardiovascular Journal of Africa, your blood circulation also increases significantly (up to 40%) when you are pregnant. This increases your blood volume, and thus calls for increased fluid consumption. The best way to quench your thirst and stay hydrated when you’re pregnant is to drink plenty of water because your body needs it even more now. To ensure you’re well hydrated, be sure to carry a reusable water bottle wherever you go. It also helps to avoid salty foods as they can increase your thirst. Other than water, you can also drink milk as it provides you and your baby’s body with calcium, as well as freshly made fruit and vegetable juices without sugar to keep you hydrated. All this extra fluid may cause swelling – especially during your third trimester. Your body contains an added 20 lbs. of liquid by this time, so it’s common to experience a little bit of swelling around your hands and feet from water retention. Staying well hydrated is crucial to keep dehydration at bay during pregnancy. If you aren’t hydrating enough, your body will draw water from your intestines, causing constipation. Dehydration can also lead to mood swings, irritability, headaches, and in severe cases, even premature labor. Warning: Having excessive thirst suddenly during your pregnancy may also be a symptom of gestational diabetes. This is a condition that occurs when the body is incapable of producing sufficient insulin for the mother and baby. If you experience a drastic increase in thirst, accompanied by other symptoms such as blurred vision and fatigue, see your health care provider immediately. Excessive thirst is one of the earliest symptoms of diabetes and is often accompanied by dry mouth, also called cottonmouth. In most people with type-1 or type-2 diabetes, their thirst builds up so gradually that it becomes exceedingly difficult to notice it – until they hit severe dehydration or experience other, more noticeable symptoms. People with diabetes suffer from excessive thirst before nighttime, or in general, because their bloodstream becomes hyper-concentrated with glucose and your kidneys become incapable of pulling out glucose from the water. This causes osmotic pressure to build up. In non-diabetic individuals, almost all the glucose is pulled out from the urine by the kidneys and sent back to the body. Osmotic pressure is the pressure that develops when there are two liquids of different concentrations of solutes. One solution has a higher concentration of solutes and the other a lower concentration. Water travels from a region of low solute concentration to high solute concentration. In the case of diabetes, the osmotic pressure gets so high that your body fails to absorb water back into your bloodstream – in fact, it absorbs water out of your bloodstream. 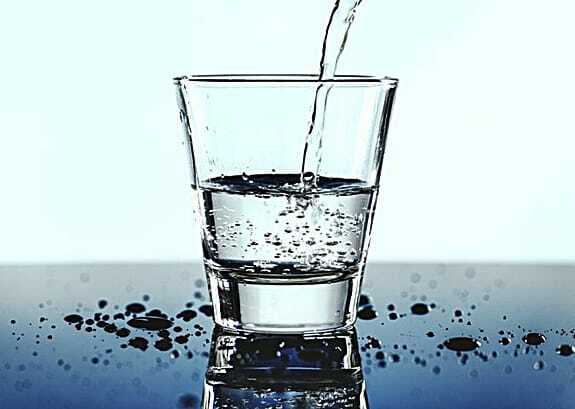 If you are thirsty at night but not diabetic, pregnant or don’t feel like the above causes match your situation, you’re probably just not drinking enough water. Determine how much water you are drinking per day. Most of us enjoy gulping down sugary drinks and sodas over good ol’ water. Whether you dislike the taste of water or prefer drinking something more flavorful, most drinks that come out of a package are packed with sugar, artificial flavors, and colors that may cause more harm than good to your hydration and your overall health. Also, if you’re going through several cups of coffee a day, chances are you’re not drinking enough water. Caffeine is a diuretic, which means it works on your kidneys by increasing the amount of water and salt that leaves your body through urine. Not only does coffee stimulate a higher loss of water from your body, but it also masks you thirsty – preventing you from getting an adequate dose of H20. If this sounds like you, it’s no surprise that you’re downing a tall glass of water right before bed – or you wake up a dry mouth in the middle of the night. The good news is that this can be easily remedied by simply drinking more water throughout the day, and cutting down on sugary drinks, sodas, and caffeinated beverages. Doing so can help reduce your nighttime thirst, allowing you to sleep restfully in the night with no interruptions. The amount of water you should be drinking per day is half of your body weight in ounces. So if you’re 150 pounds, you should aim to consume 75 ounces of water or close to 2.5 liters of water per day. Keep in mind that on hot, dry days or days you’re particularly active, you’ll need to up your water intake even more. Fortunately, not all your hydration has to come from water, consuming water-rich foods, such as cucumbers, watermelon and citrus can also help you increase your water intake. Is Drinking Water at Night Bad for Your Kidneys? Keeping your kidneys healthy requires you to be water-wise. This means, drinking water, at any time of the day, especially if you’re thirsty is not going to harm your kidneys. In fact, it can do wonders for your kidney health. About 60 to 70% of your body weight is water, and each part of your body needs water to function properly. Your kidneys use water as a medium to remove waste from your blood, in the form of urine. Your kidneys also need water to keep your blood vessels dilated, so that blood can freely travel to your kidneys, taking vital nutrients with it. When you drink water before bedtime, you’re reducing your risk of dehydration throughout the night. Dehydration makes it more difficult for this delivery system of nutrients to your kidneys to work. In the case of mild dehydration, you may feel tired, and your bodily functions may not be taking place at optimum levels. However, when dehydration becomes severe, you may be at risk for kidney damage. This is why drinking enough water, especially on warmer days, or on days you work or exercise is extremely important. If you suspect you have diabetes or prolonged symptoms of dehydration, you should schedule an appointment with your doctor immediately. Even if you don’t experience the signs of dehydration or don’t feel thirsty, be sure to drink plenty of water to manage healthy blood glucose levels. Does Drinking Water Help You Fall Asleep? Yes, it does, and one main reason is that staying hydrated improves your mood. According to a 2014 study published in PLoS One, not drinking enough water can have a negative impact on your mood, affecting your overall sleep-wake cycle. Researchers examined 52 participants, of which 22 had high fluid intake, and 30 had a low fluid intake. The study found that people who typically drank plenty of water were not as calm and did not exhibit positive emotions when their water intake was restricted. On the other hand, people in the low fluid intake group, showed increased positive emotions, calmness, and satisfaction when their water intake was increased. Does Drinking Water Improve Digestion? Drinking warm water before bedtime is an excellent way to improve your digestion and detoxify your body naturally. Warm water is also known to boost blood circulation, helping your body break down waste and sweat more. Sweating allows your body to lose some fluid in the night, but it also takes away excess toxins and salts with it. Sweating is also a natural way of cleaning skin cells. When you drink warm water before you sleep, you’re also ensuring that your body is well hydrated throughout the night and is capable of readily eliminating any unwanted toxins. This may also help reduce stomach cramping and pain. If you aren’t a fan of drinking plain water all the time or are trying to recover from a cold, consider adding some citrus, such as orange or lime juice to your warm water. This does not only add flavor to your water, but it also gives you some added vitamin C, which can boost your immune system health – especially while it fights infection. When Should You Stop Drinking Water? Aim to have your last glass of water 2 hours before bedtime. Drinking water before bed comes with a long list of benefits. However, drinking too close to bedtime may cause you to wake up in the middle of the night to pee, thus interrupting your sleep cycle. It can also negatively affect your heart health. It is critical that you drink plenty of water throughout the day to prevent dehydration so that you don’t have to drink excess water in the night just before you sleep. One easy sign of dehydration is dark urine. When you drink enough water, your urine will appear clear or light yellow. The amount of water one should drink varies from person to person. You may need to up your water intake depending on the weather, your activity levels or if you’re pregnant. It is essential to drink plenty of water throughout the day so that our bodies can run at peak levels. However, drinking too much water right before bedtime can disrupt your sleep, causing you to wake in the night and use the bathroom. Therefore, as a rule of thumb, try drinking all your fluids at least two hours before bedtime. If your habit of drinking water before bedtime is causing you any irregular symptoms recently, schedule an appointment with your doctor as soon as possible. Your doctor can help you determine the amount of water that suits you and your lifestyle best, without it affecting your sleep patterns. What Causes Headaches at Night While Sleeping?